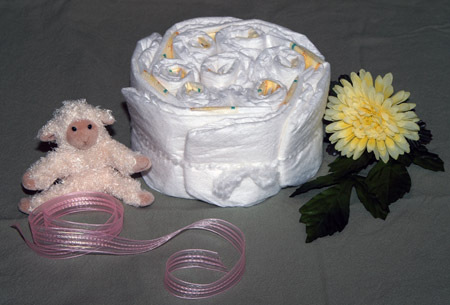 Baby Shower Diaper Cakes make unusual baby shower gifts, sure to please the mom-to-be and wow the other guests. Designed to look like a beautiful cake, Little Angel Cakes are a great centerpiece for baby showers and are made of premium diapers which are completely usable. 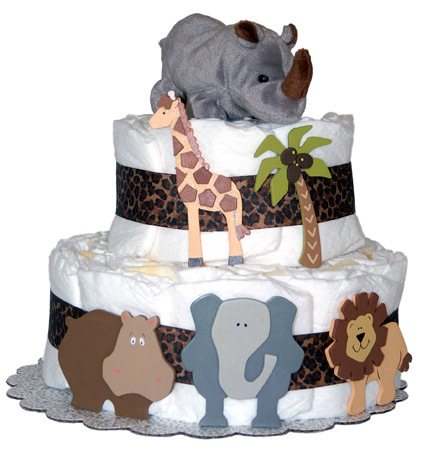 Order an undecorated diaper cake, made from premium diapers. It's ready for your special touch! Check out our Baby Shower Guide for tips on planning, hosting or just being a good guest at a baby shower.